Dorking 1-4 yu is a local Taxi company in Dorking for more than 10 years operate 24/7 all year round, ask a question at any time of the day or night we are open and at your service! 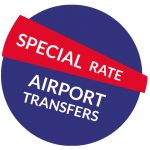 In our fleet we have comfortable cars specially for airport pick up and drop off or even local and national journey as our experience we pickup from anywhere and drop off as well. Either you looking for night out shopping or even pick up from station we always there to serve customers . Our drivers are all Licensed and fully Insured with great knowledge of Surrey & London , we hope to carry you soon. Instant Quotes for your journey – Compare Fares, Book Your Cab Online and Save Instantly ! Our price will be fixed for your journey, price will not be changed for traffic or any other reason. CabsPoint don’t charge customer for booking. You only pay a fixed fare for your journey! After booking a Minicab, you can cancel your booking anytime before your journey. Just call us on drop an email!